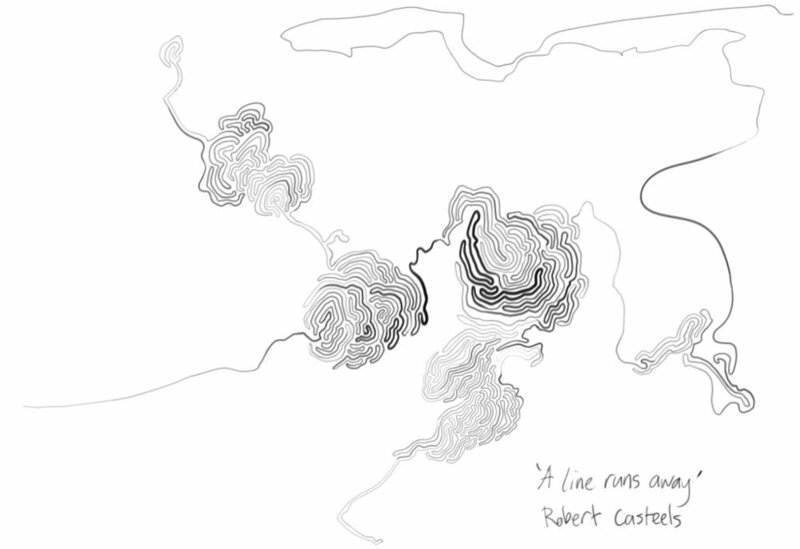 A line runs away was inspired by the poem entitled ‘Sketches of lines No. 1’ (1966) by Korean poet Moon Deuk-soo: “A line runs away like a thin snake/ A second line pursues quick as light out of darkness/ One after another, other lines bite the petals/ Like a snake, another line pursues and bites/ Like flames blooming out of darkness/ More lines tear to pieces and drop/ The boundless gauze is woven like cobwebs/ A round cosmos like an egg/ lands quietly on the flowery gauze”. The piece exists in fourversions: a trio for kayagŭm, viola, mime, solo yang qin and Chiense instrumental ensemble, a sextet for two gu zhengs and European classical string quartet and finally in a quartet for gao hu, pi pa, qudi and vibraphone. Well-known Korean kayagŭm soloist Heesun Kim commissioned and premiered the original trio version in 2007 in the National Center for Korean Traditional Performing Arts (Umeyondan), Korea.